You are here: Home / Blogs / What Makes Singapore Tick? For much of the second-half of the previous century, Singapore’s port and shipping trade contributed a major chunk of its economy. The city-state delivered high-quality services for ships docking on its shores. So much so, that it grew to become the busiest port in Southeast Asia, and one of the world’s largest container harbors. 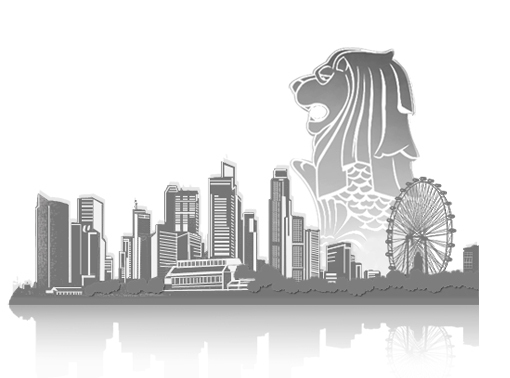 Efficiency, sound corporate governance, honest government, rule of law, efficacy and reliability became the trademarks of ‘brand Singapore.’ The government, realising the country’s lack of natural resources and a small pool of labor, decided to adopt the ‘hub-concept’ for Singapore. Investments were made and a stimulating intellectual climate was cultivated to attract foreign talent and multinationals to setup a company in Singapore. The results of such robust planning and strategic foresight is now visible to everyone. Singapore is a major aviation hub and Changi airport is among the best in the world. The city is frequented by the global elite for lectures, seminars, conferences, and thought-leadership symposiums, making Singapore the global research hub in IT, biotechnology, education and healthcare. Fortunately, and as a further proof of an open-minded and integrated society that Singapore is, there is near unanimity among citizens on the country’s need for foreigners and the important economic functions performed by them. “Though Singapore-foreigner divide was a hot topic during last year’s general election, it was more the fear of economic competence, rather than racism or xenophobia,” added Mr. Bakhda. Notably, there is no salient history of any form of anti-foreign sentiment in Singapore, unlike some almost homogeneous societies of Europe. “The question is not whether we want foreign talent or not. To ensure a vibrant and colorful economy, we have to make some room for foreign talent. However, the crux of the matter is whether we can absorb them sustainably and if Singaporeans will be disadvantaged in this process. The way to move forward is to embrace merits of an open economy, while addressing the concerns of Singaporeans,” concluded Mr. Bakhda. Singapore Business Performance: Rank me up! Rank me down!